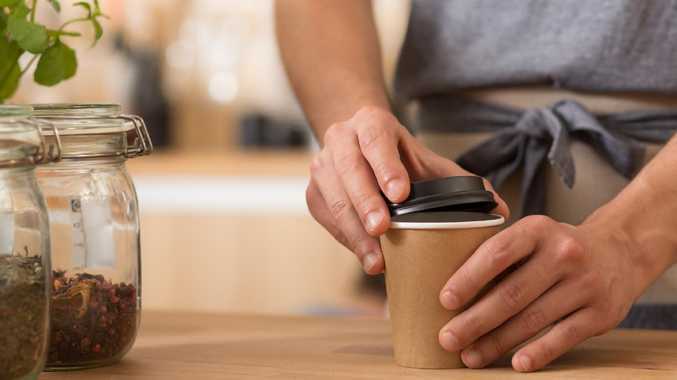 CYNICAL caffeine addicts would have you believe there's a nefarious reason behind the ever-changing sizes of takeaway coffee cups. Some of us enjoy skolling litres of warm milk in "jumbo" coffees, whereas some of us think we're Italian fashionistas as we delicately pour a splash of fresh milk on our espressos. But for your average Joe, who just enjoys a "normal" flat white to kick the day off - you may have noticed the average size in some Aussie cafes is becoming smaller and smaller. The good news is that you're not losing you marbles and your hands are not growing disproportionately larger by the day. That's because a new, smaller "precision" range of cups is becoming more popular as the new standard takeaway size in some speciality coffee outlets. You'd be forgiven for believing that this is all just a ploy to give you less bang for your buck. 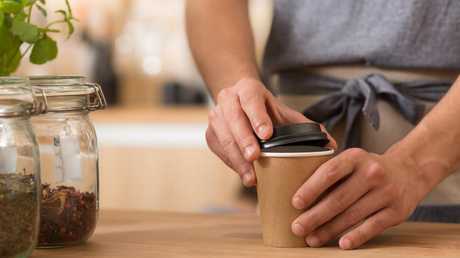 However, an expert at a leading specialty coffee roaster and supplier - which has designed a range of the smaller cups - has explained why so many cafes across Australia are joining the "precision" revolution. Michaela Gerard from ASCA Barista Guild - the leading industry body representing the Australian Specialty Coffee industry - told news.com.au the takeaway experience has never lived up to classic experience of dining in with a mug. And, she says, part of the reason is down to the size of our cups. "Unfortunately up until now we haven't had takeaway cups that match a standard dine in cup or mug," Ms Gerard said. She said it's only a matter of time before all cafes start serving up smaller sizes in a bid to improve taste. "In the next couple of years you'll probably see them everywhere," she said. "There's a degree of education needed, but once they drink the product they understand immediately. "It has been easy to launch in speciality cafes because the mindset about quality of taste is already there and there's been no backlash at all." The coffee fanatic says standard dine-in cup sizes are 160ml/200ml which get a single espresso shot topped up with milk - while a mug that is 320ml that gets a double espresso and topped up in milk. "This ratio of espresso to milk will give the customers a great balance and harmony of espresso to milk and result in a great tasting cup of coffee," she said. "This doesn't translate to take away cups as they are generally about 70ml larger for all sizes which means more milk, and a more milky and less flavour experience." So, in a standard 8oz cup takeaway cup, you're actually getting 285ml when measured out not 236ml. For a standard 12oz cup, you're actually getting 400ml when measured out, not 354 ml. And, although you're getting more liquid for your buck - you will be compromising the quality of your coffee. Ms Gerard argues the new precision range - which comes in 160ml, 200ml, 240ml and 320ml sizes - offers customers a better coffee experience. And, she argues it means more choice and you don't have to wait as long for your brew. "As an industry we have learnt how to manipulate our espresso shots to try and achieve a better flavour and more strength for these bigger cups but it's still inconsistent and it also impacts on wait times for the customer as the baristas have to load more shots to achieve strength," she said. 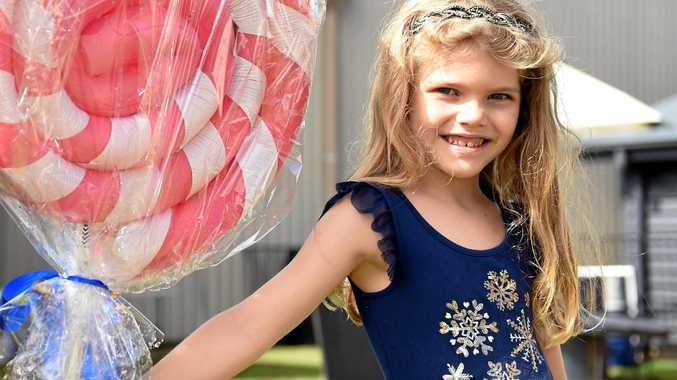 The ups only launched six ago months, but the Aussie idea is already making waves overseas after a successful launch in the UK. "In terms of coffee, we're in a very difference place to what we were even ten years ago," said Ms Gerard. "We're leading the world when it comes to coffee." It comes just days after a study revealed why there is a major divide between those of us who prefer coffee and those who are tea addicts. The study led by Queensland Institute of Medical Research Berghofer and published in the journal of scientific reports shows a person's genes might be responsible for their hot drink preference. 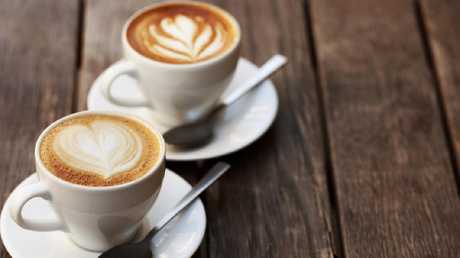 A person's perception of bitterness is determined by their genes and those that were able to taste the varied types of bitterness in caffeine and certain vegetables preferred different drinks. The study was co-led by PhD student Jue Sheng Ong who said the results could be used to highlight why certain people are at a higher risk of caffeine consumption. "We identified that people who tasted the bitterness in caffeine were more likely to love coffee and drink more of it," Mr Ong said. "People who were less able to taste the bitterness weren't as keen on coffee."